Cut the Mangos and Avocados into cubes and place in a large bowl. Slice the Purple Onion very thin and add. Rinse the Friseé and the Snap Peas. Roughly cut the Friseé and add to the bowl. Cut the ends off of the Snap Peas and toss in the bowl. For the dressing, use the juice of an entire Lime. Stir in the Sugar and equal parts Oil and Vinegar. 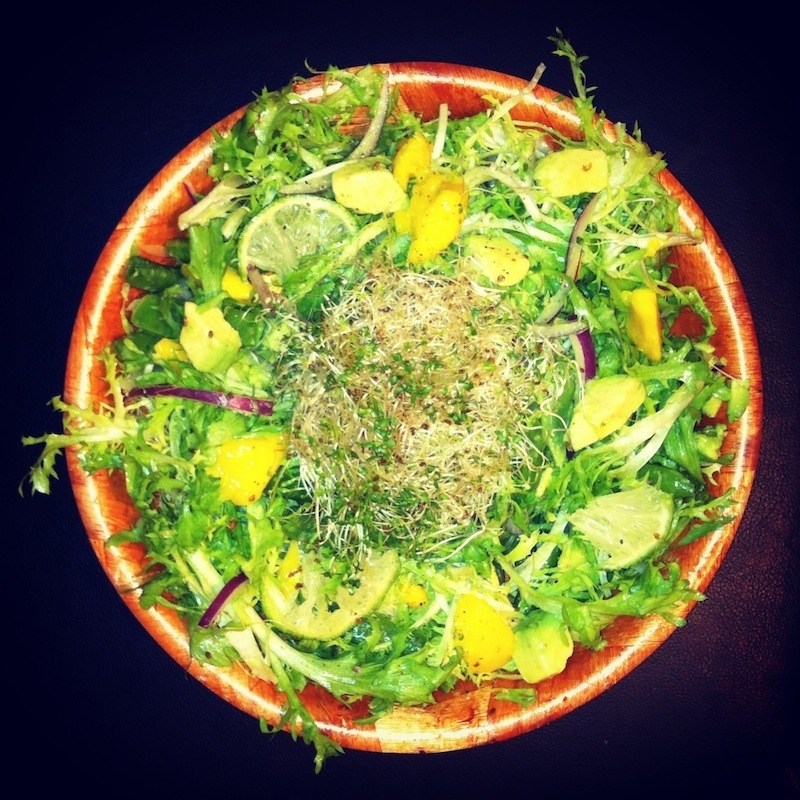 Pout the dressing over all the ingredients, lightly toss with your hands, and top with sprouts!